PYC bearing is a specialized manufacturer of angular contact ball bearing,angular contact bearing,angular contact ball bearings,angular contact bearing,miniature angular contact bearing,sealed angular contact bearing,angular contact roller bearing. Double row angular contact ball bearings with unsplit rings are provided with filling slots on one side. 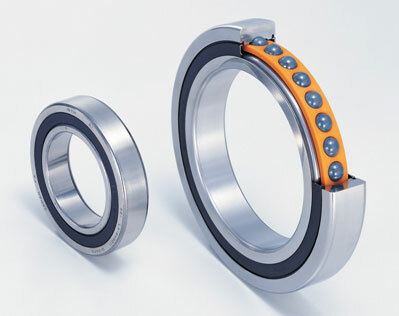 The bearings should be mounted in such a way that the main loads are carried by the raceways without filling slot.